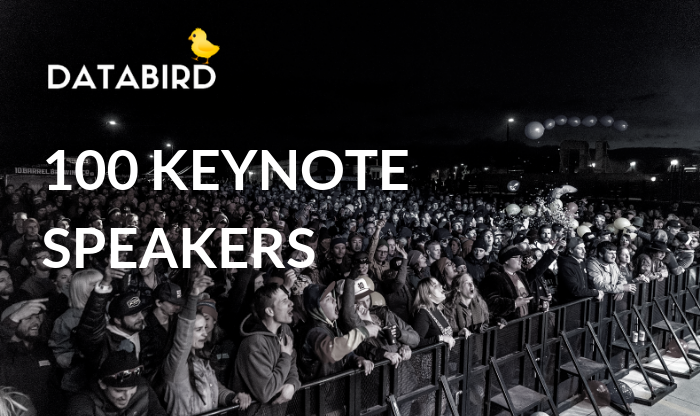 We're excited to release the 2019 list of 100 keynote speakers. Thank you to everyone who offered input! "I believe it’s an excellent way to spotlight the best Keynote Speakers for Corporations and Organizations to use for conferences and meetings." Keynote Speaker, Best Selling Author, Filmmaker. Keynote Speaker, shares a message that sometimes all we need to do is draw a line in the sand. Greg has spoken at the Pentagon, United Nations, Harvard, and has shared the stage with everyone from Buzz Aldrin to John Travolta. crashing to the ground. Sujo’s survival that fateful day proved to be the launching point for his motivational speaking career. Today he shares his story of hope and and resilience to universities, sporting events, Fortune 500 companies, and festivals in hundreds of cities in the Americas, Europe, Asia, and Africa. He has been featured in national and international media including the National Geographic, BBC, CBC, Associated Press, The New York Times, Huffngton Post, The Times-London, and The National Post. and rehabilitation. His fght against modern slavery has encouraged a network of global leaders to raise its voice against this evil of our times. YouCanFreeUs presently operates safe houses, training centers and strategic intervention hubs in USA, Canada, UK, Poland, India and Norway where it is registered as a non-proft. Kyler is a professional speaker, director of suicide prevention, and ESPN Broadcaster. Kyler Erickson is a professional speaker, director of suicide prevention, and an ESPN Analyst. As a senior in high school, he witnessed a shooting done so by one of his classmates. He now tells his story of overcoming PTSD and depression, while encouraging others to get the help that they need as well. He's a former 2x captain of the Omaha Men's basketball team, and has been featured in the New York Times, ABC News, USA Today, and Yahoo Sports. He's a member of the 2016 'Allstate Good Works Team', one of the most prestigious awards in college basketball. He's been traveling around the country the past few years telling his story, and dedicating his life to one simple mission - helping as many people as he can. Krister helps high-potential leaders learn language that boosts employee engagement, retention & productivity. On stage, Krister is an inspiring, dynamic and captivating keynote speaker, but in the boardroom, he’s more like a speech writer. He helps high-potential leaders craft the words they use in high-stakes conversations, the million-dollar conversations that can make their year or their career, as well as the countless ten-thousand-dollar conversations those leaders have every day. Holly speaks to white-collar professionals, University Students, and Inspirational audiences. She speaks Nationally and is often sought after by real estate and mortgage companies, along with women's empowerment. In Holly's book, "A Strange Path to Freedom," she shares slices of the prison life through her quirky and often spiritual lens, as well as the wisdom gained from the experience. Ellen Castro clients benefit from her global presence and expertise. She has energized organizations from high tech to entertainment, from start-ups to global companies such as Ericsson, Deloitte Consulting, Adobe, Frito-Lay, McAfee, Mary Kay, Texas Instruments, Pizza Hut, Fidelity Investments, Sabre and Procter & Gamble. She has partnered with schools, colleges and non-profits in achieving excellence. Author, activist and inspirational speaker. to Bounce Back from Life’s Hardest Hits." Azim is writing his 5th book on Leadership and it is about “How to transform conflict into Unity”. Check out his TED talk – viewed by over 1 million. Organizations call on keynote speaker, Ian Altman to inspire audiences with a modern approach to grow business with integrity. As a CEO for two decades, Altman founded and grew his own business-services and technology companies from zero to over $1 billion in value. This business success, backed by years of researching how customers make decisions, established Ian as a leading authority on accelerating business growth. Author of 3 books written for executives of small companies. His original book was the first book ever written on the sustainable value of CEO Peer Groups®. His second book explores the importance of a CEOs mindset. His latest book looks at how unintended consequences can damage a leaders effectiveness and a firms performance. KGC Direct, LLC is keynote speaking and a consulting firm that uses the effects of shifting demography as its platform. Combined with Generational Marketing, an understanding of shifting demography is used to accurately forecast commercial markets and economic and social phenomena. KGC Direct, LLC stages custom demographic research and presentations for both authors, Kenneth W. Gronbach and John Maketa. Founded the Creation Education Center in 2007. Specialties: Ministry: Helping people answers tough questions regarding Christianity, particularly regarding science and the biblical creation account. Dr. Orbé-Austin delivers customized & compelling presentations on various topics including diversity & inclusion, leadership development & change management to Fortune 500 companies, universities/colleges, & nonprofit orgs. Nate is an experienced keynote speaker, trainer, advisor, coach, and consultant dedicated to helping leaders develop self-awareness and emotional intelligence skills to communicate, collaborate, and engage in healthy conflict. His most recent book is titled Conflict Without Casualties: A Field Guide for Leading with Compassionate Accountability. Chris Malone is Founder and Managing Partner of Fidelum Partners. Chris is co-author of the award-winning book, The HUMAN Brand: How We Relate to People, Products & Companies. He is also a frequent guest and contributor to CNBC, FOX Business, Bloomberg TV, Wall Street Journal Live, Forbes and Businessweek. Jeff’s combination of “entertainer” and “speaker” makes his presentations extremely unique, interactive, and FUN. By weaving his personal story throughout his signature routines from his “Comedy in Action” show, Jeff leaves attendees thoroughly entertained and inspired. Jeff’s journey from juggling in his kitchen as a child to headlining in Vegas with own TV show is naturally inspiring and his passion is naturally contagious, so it’s no wonder that he is often asked to present his “entertainment with a message” as a keynote speaker. Through a series of strategic “pivots” along his career path, Jeff shares how he has continuously leveraged what he has had to flip hardships into assets. His story of fighting through the cutthroat politics of the entertainment industry is eye-opening, humorous, and powerful. Damon has been invited to speak at conferences in the United Kingdom, USA, Europe and Australia. He has the ability to engage a crowd of 500 people with his personal stories and humour whilst feeling just as comfortable training a small group of professionals. Ted Ma is an award-winning speaker that helps organizations develop leaders and improve productivity, engagement, and retention. Unlike many leadership experts, Ted has over 16 years of experience in growing teams and developing leaders, having built an international sales team of over 6,000 agents. Ted is a member of the National Speakers Association and has shared the stage with Mel Robbins, John Maxwell, and Jack Canfield. He has been featured in publications including Inc, Kiplinger, CNBC, and the New York Times. Valerie started her career as an IPO lawyer, investment banker and Internet executive in the Silicon Valley. She then transitioned to Hollywood, where she enjoyed success as a screenwriter and director, and recently returned to her roots by founding Goalkeeper, a tech company that makes it easier for you to make the people you love happy. She has written three books and published several more under her trademarked “...as a Second Language” series. In addition to running Goalkeeper and traveling the world as a keynote speaker, Valerie writes Christmas movies for the Hallmark Channel, which she knows you secretly love, even though you’ll only admit to watching them with your mom. All of Valerie’s talks are based on brain science and evolutionary biology, and she has an honors certificate in the Science of Happiness from the Greater Good Science Center at U.C. Berkeley. Patrick has spoken at hundreds of business events all around the world. He specializes in technology trends including artificial intelligence, blockchain (and Fintech) and social media. She is a keynote speaker at conferences, events, television appearances and podcasts related to topics: humanzing brands, brand development, digital marketing, digital transformation, social commerce, women in tech, women entrepreneurs, healthy living & wellness. BostonSpeaks offers private coaching, group classes and corporate training to help individuals take their communication and public speaking to the next level. He is an accomplished public speaker having given over 100 presentations and keynotes sessions around the world. Events include Microsoft sponsored, partner sponsored, and industry events from AISES, LACUE, TCEA, COSN, McCombs Business School, UT Austin, Sun City Computer Club, & LabMan to name a few. I've even done a QVC infomercial. Jason Treu (Troy) is an executive coach who helps executives, managers, and teams to maximize their leadership potential and performance while eliminating their hidden blind spots that sabotage career success. He spent 15+ years working in leadership positions in Silicon Valley working with influential leaders such as Steve Jobs, Reed Hastings (CEO at Netflix), Mark Cuban, and Mark Hurd (CEO at HP). He’s the best-selling author of Social Wealth, a how-to-guide on building extraordinary business relationships, that’s sold more than 50,000 copies. He was a featured speaker at 2017 TEDxWilmington. His breakthrough team building game Cards Against Mundanity has been played by more than 10000+ people. It’s being used in leading companies such as Amazon, Southwest Airlines, Ernst & Young, Google, Microsoft, Oracle, PRSA, Blue Cross Blue Shield, Phillips May Corporation, Worldwide Express, CareHere, Oklahoma City Human Resources Society and many others. Dale Spencer was leading the life of an average college student when at the age of 20, an unforeseen injury changed his life forever. Left paralyzed, Dale had to adapt to new ways of doing everyday tasks, getting around, interacting with people, finishing college and the workforce. Dale has triumphed over adversity and risen to the top of his profession, he continues to give back to his community, grow and take on new challenges. By using simple techniques to keep his fear in check and his mind focused, Dale has been able to achieve his life goals. Now he is sharing his experiences and helping others to attain their goals and ambitions. Dale takes his audiences on a journey of real-life experiences and revelations. Together they identify obstacles, both professional and personal, which are common road blocks to achieving success. By re-introducing us to the skills we already have, Dale is able to illuminate the road to success. For over 30 years, Staci Wallace has owned, operated or held executive positions in numerous multi-million dollar businesses in the telecommunications, nutrition and health care industries, as well as driving sustainable growth and global impact through non-profit organizations and ministry outreaches. As an effective cross-functional trainer, she is widely experienced as a keynote speaker, equipping leaders and impacting organizational growth. Staci is a highly skilled thought leader, strategist and brand advocate, helping organizations find their hidden weakness and creating new technologies and strategies for tearing down organizational roadblocks. He is a professional speaker, educational trainer, and kindness advocate who has a passion for sustainable impact, positive culture change, and student success. He has spent time in over 600 schools internationally delivering trainings and keynotes that cultivate change through story, curriculum, and practical resources for every student and educator. He is dedicated to changing the way we educate young people about compassion and character. As the world's first Chief Content Officer, Ann Handley speaks and writes about how you can rethink the way your business markets. Cited in Forbes as the most influential woman in Social Media and recognized by ForbesWoman as one of the top 20 women bloggers, Ann Handley is the Chief Content Officer of MarketingProfs, a training company that empowers marketers internationally with the skills they need to drive success at their companies. Ann is a speaker, author, and member of the LinkedIn Influencer program. She is the author of the Wall Street Journal best-seller on business writing, "Everybody Writes," and the co-author of the best-selling book on content marketing, "Content Rules: How to Create Killer Blogs, Podcasts, Videos, Ebooks, Webinars (and More) That Engage Customers and Ignite Your Business." Her client list includes companies like Google, Box, Here, Applied Materials, Abbott Labs, GE. As a highly regarded industry thought leader in analytics, she writes for publications including Forbes, Harvard Business Review, InsideHR. She has been a featured speaker at American Marketing Association conferences, Microsoft Modern Workplace, Predictive Analytics World, Growth Hacker TV, GigaOm, Google Analytics User Conference. In 15+ years as an analytics leader, she has had 180M+ demonstrated impact on business. As a gifted problem solver, she seeks out patterns and insights to drive change in her client’s organizations and impact top levers of business. She considers customer satisfaction, empowerment and positive engagement as the highest rewards, and dollar impact as a natural consequence of it. Her best seller book ‘Behind Every Good Decision’ is an actionable guide for business managers on data driven decision making through business analytics. Jim Britt is an internationally recognized leader and highly sought after speaker in the field of peak performance and personal empowerment training. He is author of 14 best-selling books including, Cracking the Life Code, Rings of Truth, The Power of Letting Go, Freedom, Unleashing Your Authentic Power, Do This. Get Rich-For Entrepreneurs, The Flaw in The Law of Attraction, The Law of Realization, and The Change book series, to name a few. He also publishes a collaborative book series for entrepreneurs Cracking the Rich Codealong with Kevin Harrington from the hit TV show Shark Tank. Jim has presented seminars throughout the world sharing his success principles and life enhancing realizations with thousands of audiences, totaling over 1,500,000 people from all walks of life. His message has a Powerful, lasting impact on all attendees. Jim has served as a success counselor to over 300 corporations worldwide. He was recently named as one of the world’s top 20 success coaches. He was voted Trainer of the year and received The Best of the Best Award out of the top 100 contributors of all time to the direct selling industry. She started Women Veterans Alliance as she saw a need to bring women veterans together to help empower each other. She is a disabled veteran small business owner, speaker, author, and award winner who is connecting women veterans across the nation. Melissa proudly served in the Navy and rather than shoulder the burden of a dual-service family, she decided to leave the military early to pursue a career while her husband spent 21 years on active duty in the United State Marine Corps. In 2014 she founded the Women Veterans Alliance. She has been featured in newspaper articles, TV, and Radio. Sought out speaker as well. Melissa is a go to person for media when it comes to women veterans. Matt is a frequent and enthusiastic speaker at industry conferences pursuing his mission to improve the health and wellbeing of the world, one person at a time. Matt Gersper speaks to people about finding true self. He’s failed, and he’s succeeded. Lots of times. . . Been hired. Been fired. Gone through divorce and nearly drowned – separate occasions! Then one day at the bottom of a canyon, he woke up, took another chance. He found truth and joy. Love. Adventure. Significance. Things that matter most… to him! And now he lives to give back. To help. To inspire. 2) DISCONNECT from the world, get IMMERSED in your conference, and TRANSFORM your life! His greatest challenge in life came when doctors told him that he would never run again and would only be able to walk with the assistance of a leg brace. After sustaining a gunshot wound to the abdomen during combat operations in Afghanistan, his left leg was paralyzed. It took great perseverance and numerous surgeries, but he overcame his injuries and gained admittance to MIT Sloan and the Harvard Kennedy School of Government. He spent three years on concurrent master’s degrees and was proud to earn both an MBA and an MPA in 2016. At Goldman Sachs Kevin has been exposed to the world of finance, markets and business development. This experience has complimented the skills he honed in the Army: leading and developing teams, logistics and supply chain. Over six years after being told he would never run again, Kevin is training for a half-marathon. Since his injury, he had travelled the country telling his story of resilience and courage. Everyday he strives to be the best version of himself and he is ready to accept new challenges. Hundreds of thousands of business students have learned about Marketing from his books including Consumer Behavior: Buying, Having, and Being -- the most widely used book on the subject in the world. He is also a regular Contributor at Forbes.com, where he writes about consumer behavior, retailing and branding issues. His keynotes create a visual excursion into the minds of consumers and what influences them to buy. Youth Empowerment Organization for Kids and Young Adults. The LoveNoEgo Foundation provides real-world development for the youth (kids and young adults ages 10-24), utilizing its principles Love over Ego, Love Over Fear, and Communication Over Conflict, helping them to overcome challenges, find purpose, and live their true greatness. Successful Strategic Negotiator in all industries including, Service Contract Act, Manufacturing, Construction, Electric Utility, and Telecommunications. She guides people through the science and art of leadership, presence, and communication. As a speaker and consultant, Sara gives clients the input they need to move beyond the business school basics, helping individuals and their companies reach the next-level of success. Bella Vasta is the driving force behind the one-woman coaching company, Jump Consulting, which she named after jumping out of a (perfectly good) airplane at 13, 000 feet. Her motto is “Always Keep Jumping, a reflection of her philosophy and her dynamic and engaging coaching style. She encourages people to leap to the next level for their pet businesses. Responsible for creating, developing, training and implementing strategy for leaders in global diversity and inclusion practices. Integrating inclusive approaches to developing, hiring, retaining, recruiting, promoting, on-boarding, succession, talent assessment and review, performance management and more. As Speaker, MichelJoy ignites a new level of aliveness in audiences who hear her topic "READY, AIM, THRIVE" sharing personal stories of women overcoming conditions to shine as Leaders, growing Million Dollar Companies. Gina is driven by a passion to make a difference. During her 28 year career in law enforcement, she has solved problems, made impactful decisions and helped others overcome adversity. Her topics are designed to provide women with the tools to reach leadership positions and to help companies achieve their goal of gender equality. Her book, The Politics of Promotion, helps women to navigate the complexities of the workplace today. She has also done extensive research on women and ambition and co-authored a white paper on the topic. Her audiences are corporations, associations, and conferences. Clients include GoDaddy, Heineken, CREW, Watermark Women’s Conference, Actelion, Farm Credit Services of America, 3M, and Prudential. Paul has spent 30 years rehearsing Fortune 500 executives for key presentations, preparing major accounting, consulting and engineering firms for competitive presentations and coaching startups in their pitches for funding. Helping families, foundations, family offices and businesses strategically design and implement their philanthropic initiatives. Keynote Speaker and nationally-syndicated newspaper columnist "On Philanthropy". What difference do we want to make in our community, nation or world? What difference do we want to make for ourselves? Rashim Mogha is a keynote speaker, influencer, a best-selling author, and a women in tech evangelist. She is dynamic, outcome-driven thought leader whose extensive career has included leadership positions at prominent technology companies such as Oracle, Amazon Web Services, and VMware. In her current role as Cloud evangelist at Oracle Cloud Infrastructure, she enables cloud enthusiast to embark the journey to cloud. As a business leader, Rashim has built four high-performing teams to support over $2 billion cloud businesses. Through keynotes, workshops, and speaking engagements around the world, she has taught thousands of people how to fast-track their leadership careers and harness the power of positivity for success. Rashim is a women in tech evangelist and has empowered thousands of emerging women leaders through her eWOW(empowered Women of the World) initiative. Her thoughts on leadership, innovation, women in technology and enablement strategies have been published in Forbes, the Association for Talent Development, and Thrive Global. Her book, Fast-Track Your Leadership Career, is a #1 Amazon bestseller and Top 30 books by women for women. As an Emmy-award winning television producer, best-selling author and a media trainer and strategist, Paula has spent her career helping experts get their message out into the world. A media veteran for nearly 20 years, she most recently spent over a decade as a former senior health producer for Fox News Channel producing segments with a range of top experts, including JJ Virgin, Jillian Michaels, and Deepak Chopra. She coaches experts and executives to perform better on camera and produce their own videos as well. She's the founder of ListProducer.com and author of Listful Thinking: Using Lists to be More Productive, Highly Successful and Less Stressed. She’s also co-founder, with Terri Trespicio, of Lights Camera Expert, LLC - an online course geared towards helping entrepreneurs, authors and experts get media attention. She’s also the creator of Become A Video Star - a virtual workshop that empowers experts to create their own compelling videos. She’s spoken at MA Conference for Women, New York Women in Communications, National Association of Professional Organizers (NAPO), and many others. Steve Coughran is the Chief Financial Officer for EMJ Corporation where he focuses on marrying finance and strategy to drive competitive advantage. Steve is best-known for his research, writing, and work with companies on strategic growth and corporate financial management. Having launched and managed three cross-industry companies, including his management consulting firm, Coltivar Group, Steve has gained a deep understanding of the competitive business environment. Through combining executive and management consulting experience with financial acumen gained from working with million and billion-dollar firms at Ernst & Young, Steve has experience transforming CFOs into leaders of the future. Additionally, Steve is a keynote speaker for national associations and universities, and author of Delivering Value: A Holistic Approach to Strategic-Powered Growth and numerous published articles. At the University of Denver, Steve teaches a course entitled Strategic Financial Leadership. He has delivered keynote presentations all over the world for individual organizations and industry-wide conferences alike. He breaks down the elements of the Nordstrom philosophy of customer service excellence and explain how they can be adapted for virtually every kind of organization. Past clients include Salesforce, Indeed, Charles Schwab, McKesson and many more. Rashmi Airan's mission is to help organizations create cultures focused on integrity, authenticity, and accountability by connecting these efforts to human performance, behavioral ethics, and emotional intelligence. business discipline necessary for decision-making. Rashmi uncovers the mental process of problem-solving that leads to organizational cultures with integrity. She energizes any audience to harness the power of vulnerability to ensure our corporations create strategies that are risk-informed. As a leader in her community and beyond, Rashmi will empower women to be leaders in the face of adversity and challenges. Baylor Barbee is an award-winning speaker, author, and triathlete. For over a decade he has driven businesses, teams and organizations to SHIFT their thinking to reach peak levels in their careers, relationships, mentality, and fitness. Baylor has inspired thousands of people globally through live events, keynotes, and seminars. An author of several books in the genre of mindset development, depression, and team-building, Baylor is an Amazon best-selling author. He was named by the Dallas Convention & Visitors Bureau as one of the Top 12 Most Influential African-Americans in Dallas. Gary has been the keynote speaker at over 300 technology shows and events because of his extensive marketing and branding expertise as well as his entertaining and approachable speaking style. He has either assisted or helped create a number of branding campaigns for dozens of tech companies (including brands like Samsung, Cisco, NEC, HP, InFocus, Sony and the University of North Carolina) and has even served as an expert witness in branding court cases. In addition, he also teaches classes, leads workshops and writes about technology and the future of adverting, marketing and public relations. Gary is recognized as a social media and new media technology futurist. The best-selling author of nearly 50 sports books, Ross Bernstein is an award-winning peak-performance hall of fame business speaker who’s keynoted conferences on ALL SEVEN continents for audiences as small as 10 and as large as 10,000. Ross has spent the better part of the past 20 years studying the DNA of championship teams and his passion is helping organizations perform like CHAMPIONS. Ross and his books have been featured on thousands of TV and radio programs including CNN, CBS This Morning, FOX News, Bloomberg, ESPN, as well as in the Wall Street Journal, New York Times, USA Today & Maxim Magazine. In January 2008, James H. Pogue began focusing on the goal of helping companies and colleges prepare, recruit and retain Millennials and now Generation Z. He has worked with groups of all sizes and complexity across the country, improving their ability to develop and retain talent. When companies like Disney, Procter and Gamble, Wendy's, Hilton and Arrow Electronics need to up their innovation quotient, they call Tamara. She is also the host of a top-rated business innovation podcast, Inside LaunchStreet. Her company helps teams across the globe unlock their innovation advantage through easy to implement IQE assessment, digital tools, and resources. 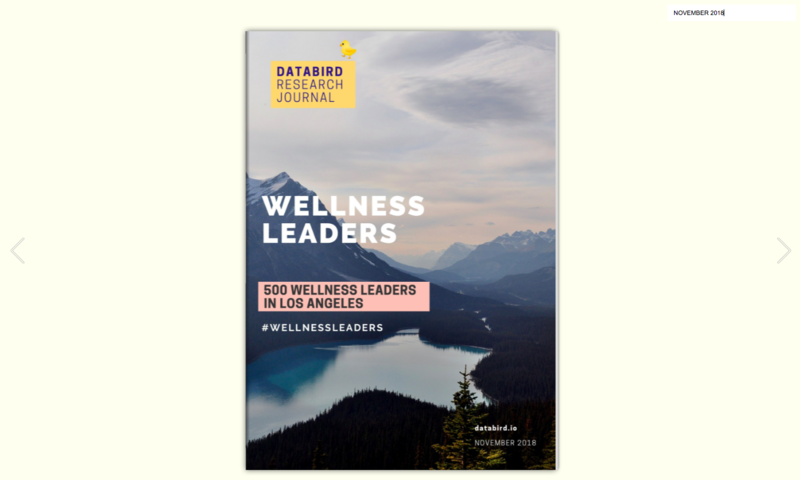 Dana Jacoby is recognized as a difference maker and trusted advisor to health system executives, hospital administrators, medical practices, vendors, and other stakeholders in optimizing patient care while also elevating financial and operational performance. He studies the HyperGrowth companies to understand the chaos of growing and the principles that make fast-growth leadership possible. It all comes back to leadership and culture. Gene believes that companies that want to grow fast must create a growth culture that is a competitive advantage in their market. He speaks at ~ 40 live events each year. David works with business owners to empowering their dreams of truly owning their business instead of being owned by the business. He equips and empowers small businesses to find the answers to the hard questions, develop the processes and skills needed to grow, and teach them the discipline they need to grow their bottom line. In addition to Keith’s philanthropic efforts, and professional soccer career, he is a successful entrepreneur who currently manages Luxe Partners, a Financial Management firm. Fortune 500 companies hire him to teach their employees how to create magic moments and become leaders worth following. Mike provides keynote and breakout speeches on a variety of topics related to leadership, communication, ethics, and patriotic themes. Lately he has been emphasizing speeches on building high-trust organizations, drawing on principles from my latest book Leadership and the Power of Trust. Andy is an entertaining Keynote Speaker and trainer who has traveled across the United States and hit the ball out of the park 99% of the time. Author & speaker on company culture, employee engagement, leadership and the future of work. Author of "Build it: The Rebel Playbook for Employee Engagement" available from anybookstore and on iBooks and Kindle. CEO & Co-Founder of Enjoy Life Education Inc.
His Keynote presentations are high energy, thoughtful, and highlight the importance of leadership education, the value our young people have on each facet of society’s future, how to maximize that value through leadership education, and how we can get more people to come alive to their passions and potential. For over a decade Dan Willis has helped companies like FOX, H&M, Toyota engage their communities more effectively through digital mediums. His passion is helping business and entrepreneurs visualize their stories, personify their brands and bring them into communities that need them. 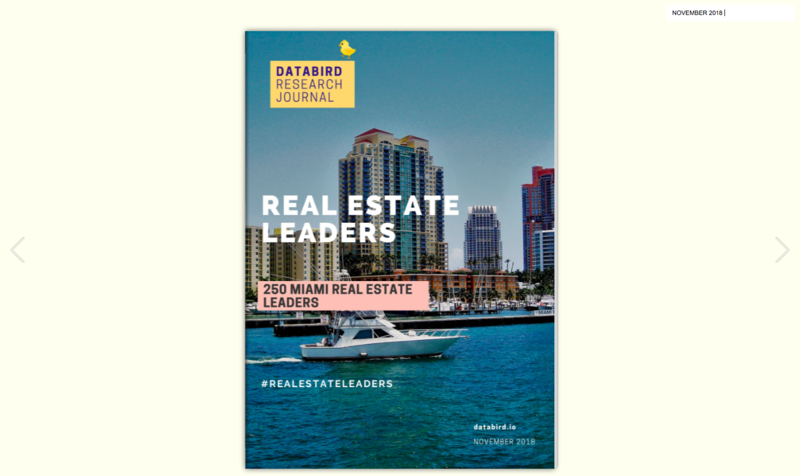 Community is key in the millennial marketplace...are you ready?